I’m so thrilled to have Karly of Buns in my Oven guest posting for me today. When she said she wanted to guest post on little ol’ Rachel Cooks–I was blown away and so honored! She is insanely talented and I’m so happy to introduce you all to her if you don’t already know her. Thanks for being here, Karly. To see more of her great content, check out her Authentic Tex-Mex Carnitas, Peanut Butter Cheese Ball, and Homemade Marshmallows. Homemade marshmallows are on my culinary bucket list! 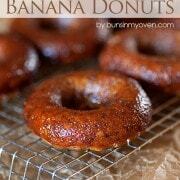 Banana donuts with a sticky caramel glaze are a perfect breakfast treat. Am I the only person who gets this serious competitive thing going on when I’m guest posting? Like, I have to win at guest posting, you guys. There shall be no better guest poster than me. I will kick guest posting’s trash and then I will eat a donut. I mean, that’s what we do after a victory, right? We eat donuts. Lucky for me, I also eat donuts when I lose. So, you know, I might totally fail this guest posting gig, but I’ll still have donuts, so it’s cool. I will survive. I’m sort of the donut queen. I mean, it’s more of a self-proclaimed queen, than a born to royalty queen, but whatever. I’m the queen of donuts, because I say so. I resisted buying a donut pan for so long and then when I caved, man, things got out of hand. Donuts all the time! I sorta outdid myself this time around. I mean banana donuts are like little circular banana bread loaves, so that’s a win. Brown Sugar Glaze is this ridiculous sticky, caramel coating that will probably make you do the weird food noises. You know, the mmmm and the ahhhh and the grooooooooan. 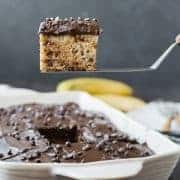 Let me recap: I like to win at guest posting, so I brought you guys this ridiculous recipe full of banana, coated with sticky brown sugar, and covered in love. In a medium bowl, beat together the sugar egg, bananas, vanilla, and melted butter until well combined. In a small bowl, combine the flour, baking soda, salt, and cinnamon. In a small saucepan, bring the brown sugar, water, and salt to a boil. Reduce heat to a gentle simmer and cook, stirring constantly, for 3 minutes. Let the glaze cool for a few minutes. 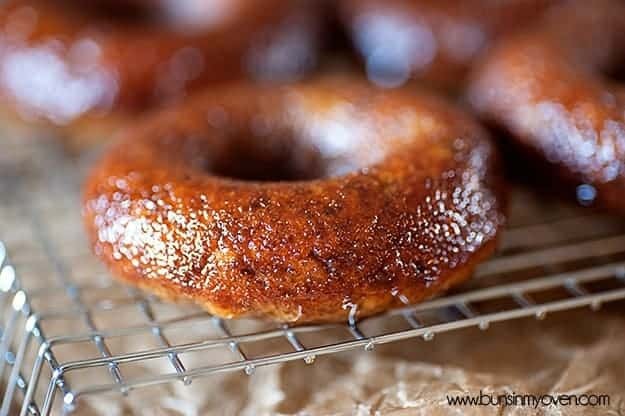 Dunk the donuts in the glaze to coat and remove to a cooling rack. The glaze will be very wet and sticky at first, but as it cools it will thicken up slightly. 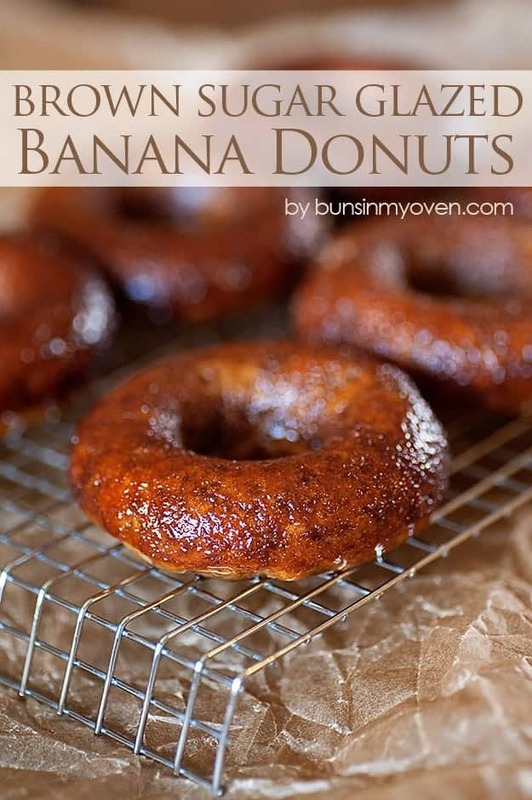 Thanks again Karly – these banana donuts look phenomenal! Find Karly on Facebook, Twitter, Instagram, Pinterest, and Google+. All of these wonderful donut recipes. I seriously need to get a donut pan. Thanks for another great recipe Karly! Karly has the best donut recipes. :) And now…. I want donuts for dessert. And breakfast tomorrow. And maybe lunch? Ok, donuts all long please. I lvoe brown sugar anythingggg! 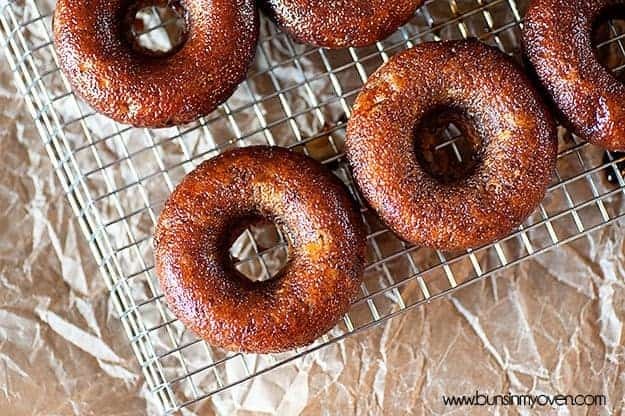 Such a lovely batch of banana donuts – I couldn’t stop at one, that’s for sure! I love everything about these donuts! Bananas, brown sugar, and I bet flavor is so good. Pinned! Oh my! Karly did it again! Now I want donuts! 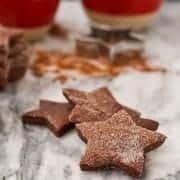 Do you think WW flour would work with these? 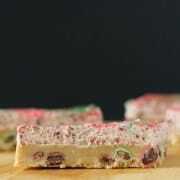 Its all I have on hand, and I have all the other ingredients, so I obviously need to attempt this! LOL ;) Look sooooo yummy! I really don’t bake with whole wheat flour, so I’m not sure about the substituting. I’d probably add in a tablespoon of milk OR an extra half of a banana. No idea if that would work, but that’s where I would start. Karly has the BEST recipes! I’m new to your site, so I’m going to check around and see what you cook up in your kitchen. I love finding new blogs to stalk!! Yum! I hosted Father’s Day brunch a couple of years ago and thought I’d make donuts. I searched everywhere for a donut cutter so they’d be pretty. I made them the day before and they were awful. 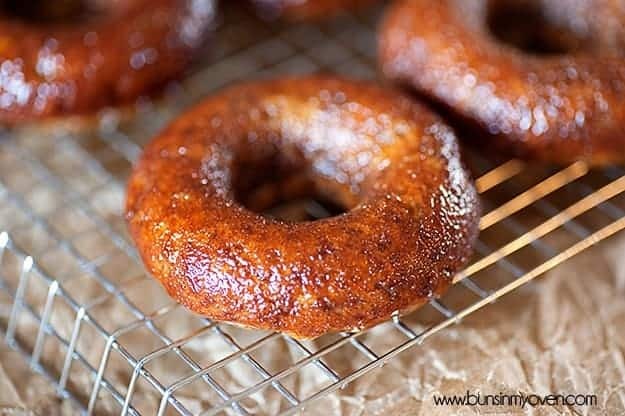 I even tried a batch of applesauce cake donuts and they were gross too. A lot of donuts and a lot of work went in the garbage that day. Maybe I’ll give it a shot again using your recipe. Gorgeous doughnuts! My daughter would go nuts for these, she loves bananas. Um, I’ve been stalking, I mean reading Buns in My Oven for a while now and she’s all kinds of amazing, just like you. Mwah! Okay, these look ridiculous, and ridiculous is good! I am going on over to Buns in my Oven now to check out her blog. Nicely done.